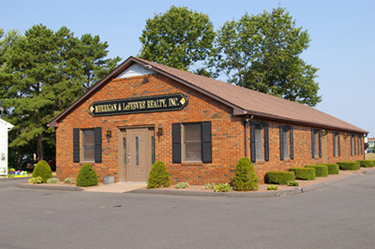 Merrigan & LeFebvre Realty, Inc. has been serving the northern Connecticut region for over 50 years. Whether you are looking to buy, sell or build; residential or commercial, we are here to serve all your real estate needs. Merrigan & LeFebvre Realty is a 3rd generation, family owned and operated real estate company that has been serving the greater Hartford area for over 50 years. Originally founded in 1966 as Merrigan Real Estate by Ray Merrigan it became Merrigan & LeFebvre Realty in 1976 when Gary and Darryl came onboard. While we are the oldest continuously operating and independent real estate company in the area, we offer all the same cutting edge technology you’ll find at other firms but with a much more personal focus. We pride ourselves in making your real estate transaction as stress free and simple as possible. Merrigan & LeFebvre is proud to support many local charities, sports teams, and businesses, with a strong belief that giving back to the community has been a vital part of our success. We’ve continuously supported Windsor Locks Little League, the Windsor Locks Lions Charities, Dollars for Scholars, the Windsor Recovery Club, the Windsor Locks Police & Fire Departments, and many others. With a new closing regulations (TILA / RESPA Integrated Disclosure) in effect, having a knowledgeable agent who understands the process and can facilitate your transaction through closure is more important than ever. Give us a call and let one of our experienced agents make the process easy for you, you will be glad that you did!